Forward Leading has announced speakers for the Brand Marketing Leaders Summit Singapore 2019, an invite-only conference where over 20 big brand speakers from diverse backgrounds share their stories and insights. Delegates will immerse themselves in the challenges, trends and untapped opportunities of how to strategically drive brand growth. 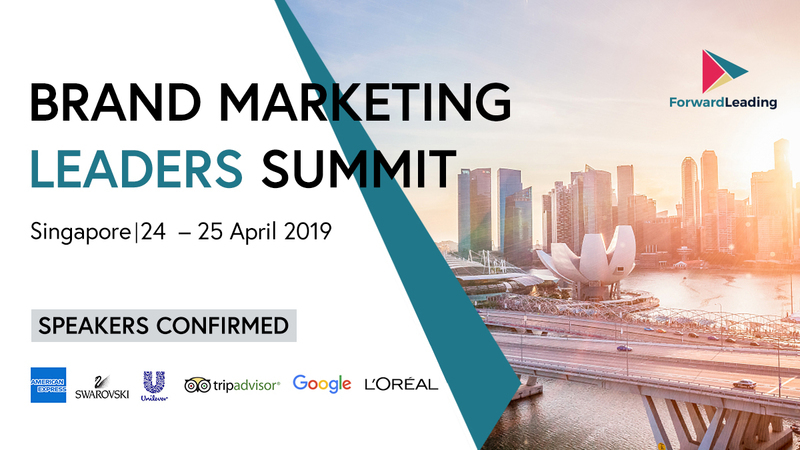 The Brand Marketing Leaders Summit will take place on April 24 & 25, at the Suntec Convention & Exhibition Centre, Singapore. The speaker line-up includes Diane Yap (Head of Marketing of AXA), Lisa Wong (Head of Marketing of Swarovski), Richard Rubnan Que (International Marketing Director of L'Oréal), who will join a panel session to discuss the secret to building brand loyalty; Sandy Tantra, Head of Brand Marketing of Google will discuss how Google uses their search engine and tools to help SME's and women empowered businesses launch their brands; Raymond Mabasa, Director, Marketing & Digital Transformation of Unilever will showcase how to establish brand purpose. Delegates also get to hear from Akshay Trivedi, Director, Total Brand Experience, APAC of Johnson & Johnson. Akshay has more than 15 years of experience driving insight-based solutions in FMCG, Financial Services, Automotive and Pharmaceuticals, across Asia Pacific, Middle East and Africa. His presentation at this summit will focus on 'The New Branding: Creating Shareable Brand Experiences'. Clara Lim, Senior Manager, Partnerships of TripAdvisor will discuss the steps that she took to deliver successful campaigns for TripAdvisor. This summit will shine a spotlight on Engaging Stories. Elaine Ng, Head of Communications of Philips will share her insights into the importance of digital storytelling in PR and how to build a unique brand story on social media; Vivek Khandelwal, Head of Digital Marketing of American Express will also share his experience into this topic, from the perspective of how brand storytelling affects its consumers' perception. The speaker line-up also includes leaders from Facebook, P&G, Microsoft, Twitter, WWF International, Skyscanner, Times Publishing Group, HomeAway, Klook, Thermomix Singapore and EtonHouse International Education Group. To view the agenda, please visit summit website here.